The American former professional stock car racing driver is Carl Michael Edwards II. 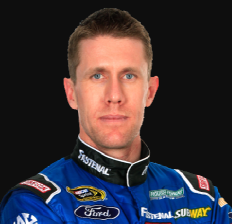 He is professionally known as Carl Edwards. He won the 2007 NASCAR Busch Series championship. Carl Edwards full name is Carl Michael Edwards II. He was born on 15 August 1979 in Columbia, Missouri. In 1997, he graduated from Rock Bridge High School. Later, he attended the University of Missouri. Edwards’s height is 1.85 m and weight is 84 kg. He has brown color hair and grey color eyes. Overall, he has the balanced and healthy body. In 2002, he competed in 7 NASCAR Craftsman Truck Series events for MB Motorsports. In 2003, he won his first race at Kentucky and won ‘Rookie-of-the-Year’ honors. In August 2004, he made his debut on ‘Nextel Cup Series’. In 2005, he won all races in Nextel Cup and Busch Series and made the history. He won the Golden Corral 500 at the track in which he first won his Nextel Cup. He became the eleventh driver in NASCAR history to win races in all three organizations. He won the ‘2005 Busch Series Rookie of the Year’. The 2005 season, he became the second driver in NASCAR history to win most races. In 2006, he did not win the races. In 2007, he became the 19th different ‘Busch Series Champion’. In 2008, he announced that he had signed a multi-year contract to remain with Roush Fenway Racing. He also got his fourth NASCAR Sprint Cup victory of the season. In 2009, he finished the season with five wins. In 2010, he broke the track record for the fastest qualifying lap at ‘Phoenix International Raceway‘ scoring his 6th career pole. In 2011, he won the ‘NASCAR Sprint All-Star Race’. He re-signed with Roush Fenway Racing to continue driving his No. 99 Ford Fusion. In 2012, he won his only race of the ‘2012 NASCAR Nationwide’ season. In 2013, he got in a crash at the 2013 Daytona 500. But later he raced well in other races. In 2015, it was rumored that he was leaving Roush. But later it was quiet. But later, he announced that he would be switching team in 2015. 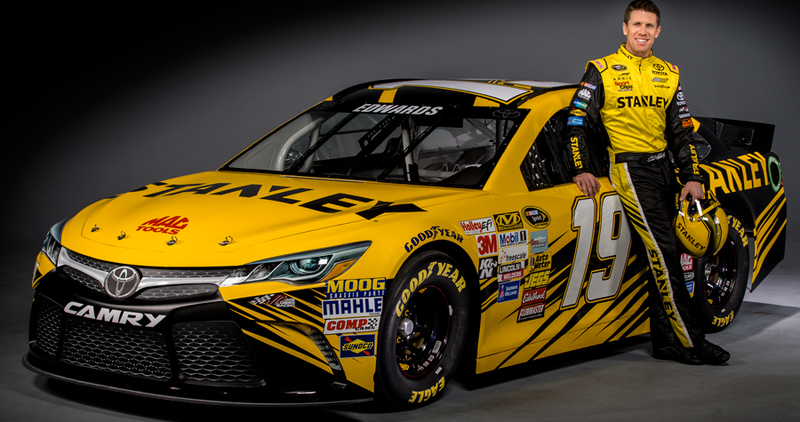 In 2015, he joined Joe Gibbs Racing. He signed the multi-year deal. In 2017, he has a cameo appearance as a West Virginia state trooper in the film ’Logan Lucky’. Edwards is a married man. He married Katherine Downy who is a medical doctor on 3 January 2009. The couple has two children named Michael and Anne. Edwards’s net worth is estimated to be $50 million.